When LeBron James announced his return to Cleveland last season, many wondered how it would impact Kyrie Irving‘s game. Kyrie ended up putting the point in point guard last year with 55 and 57 point outbursts against two of the Western Conference’s best squads. Now Nike is honoring Kyrie’s Double Nickel performance against the Portland Trailblazers with this pristine installment of the Nike Kyrie 1. 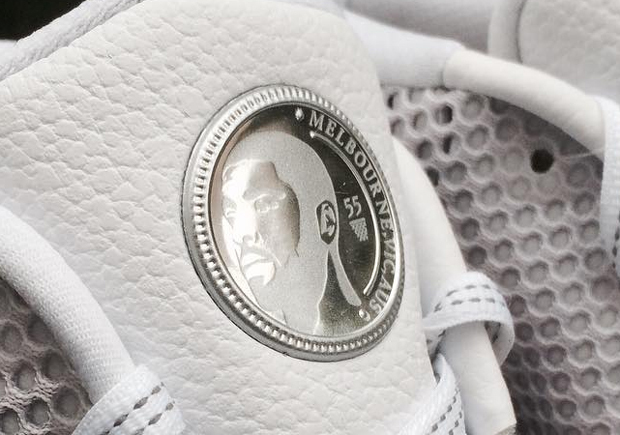 The white mesh base sees additions like a nickel shaped tongue medallion complete with Kyrie’s face and a small 55 inscription. Even his signature number 2 is turned upside down on both heels to nod at his scoring tally. A Cavalier appropriate maroon hits the Swoosh to contrast the metallic silver on the heel and laces. 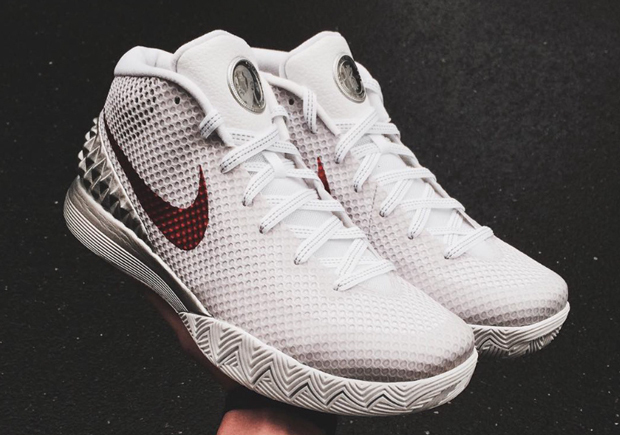 Check out the latest Kyrie 1 colorway below and we’ll keep you updated on a potential stateside release date in the near future right here on Sneaker News. 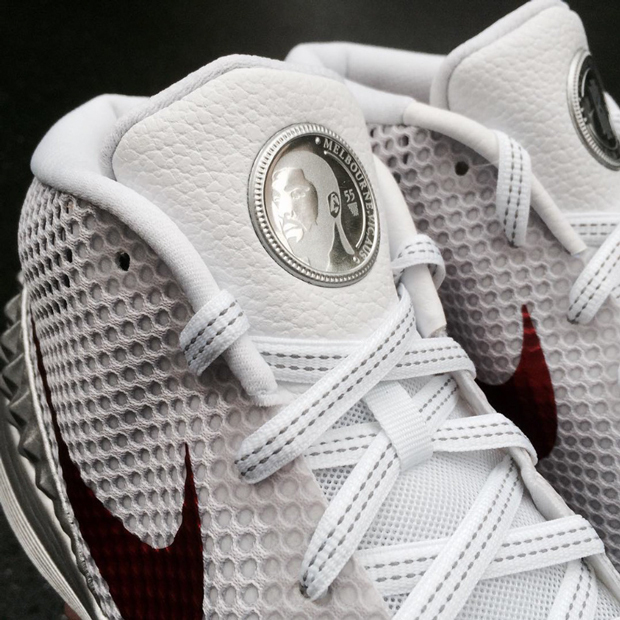 Update: The Nike Kyrie 1 “Opening Night/Double Nickel” will release on November 27th. 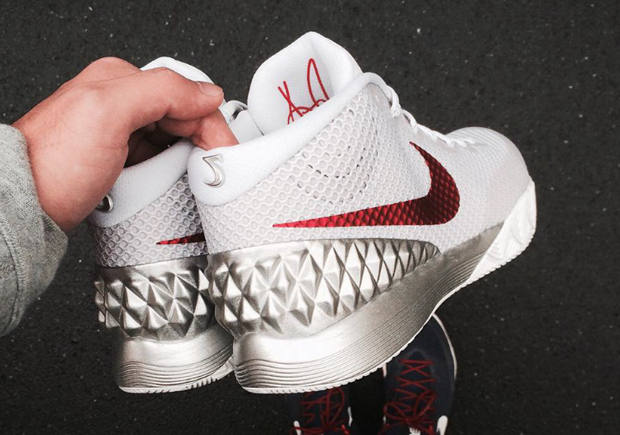 Kyrie 1 "Double Nickel"Kyrie IrvingNike Kyrie 1Nike Kyrie 1 "Double Nickel"